Oh, hi there! You scared the crap outta me. I'm mourning lemon, associate production coordinating directorial associate of managing departmental division office supervisor of the international network amalgamation distributors corporation management organizational association of dudes who play vidja gaems. One time, I played a video game. 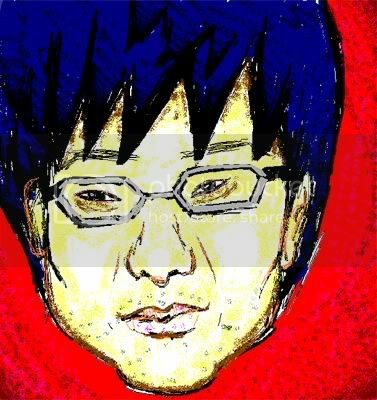 This other time I drew Hideo Kojima in Paint for a Dtoid contest. I heard once that playing a musical instrument stimulates the same areas of your brain as do video games. On that note, I play guitar, and am a drummer for a rock band.